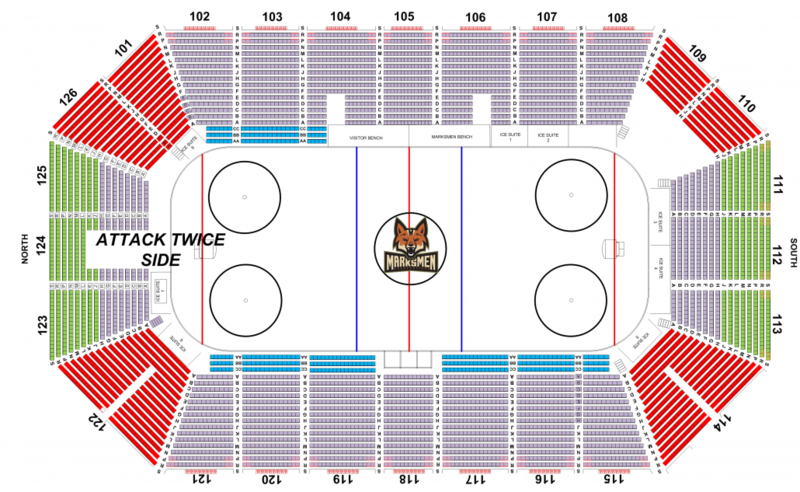 FAYETTEVILLE, N.C. – During the Winter, Fayetteville Marksmen professional hockey club is dedicated to becoming the epicenter of entertainment. The organization has officially reinforced that mission today in announcing that all 28 regular season home games will have a theme and promotion based around them. 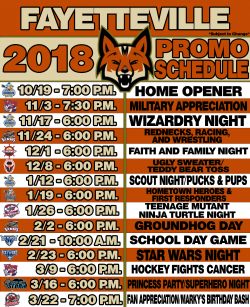 This coincides with the previously released promotional schedule, which highlighted bigger promotional nights organized by the team during the off-season including the ever-popular Star Wars Night, the hilarity of Rednecks, Racing, and Wrestling Night, and the magical Wizardy Night. The organization’s full promotional schedule boasts many uniquely themed nights, with nearly 25 percent of home games featuring a special jersey. One of these specialty jersey nights featured this year is a staple of hockey teams in the Christmas season, and we’re so excited to bring it back, the Ugly Sweater / Teddy Bear Toss Night, where we will be coming out in so perfectly tacky sweater-themed jerseys as well as offer fans the chance to make teddy bears rain from the roof onto the ice after the first goal of the night. November and January especially are packed to the brim with exciting promotional nights, both new and familiar. Of course, of all these nights, our Military Appreciation game is one of the community’s most-anticipated events in the Fall, and we are honored to be able to bring it back. Marksmen Team President Travis Gortman expressed great excitement in being able to bring family fun to every game of the season. With these promotions, the Marksmen organization looks to continue to be a staple of Cumberland County’s premiere affordable entertainment, and continue to give back to the community by providing a highly-entertaining event every game day. Below is the list of every single home game day with its matching promotion or theme night. All of these great promotional nights are already for sale in all of our packages, from our 10-Game Flex Plan, to Marky’s 7-Game Plan (presented by Circle K), and our Fayetteville Four Pack (presented by 22 Klicks). Single-game tickets are on-sale soon, but don’t miss out on your chance to have your seat reserved for all the fun! If you have any questions, or would like to learn more information on ticket packages, promotional nights, and pricing, please send an email to TGortman@MarkmsenHockey.com or call the Marksmen Office at (910) 321-0123. 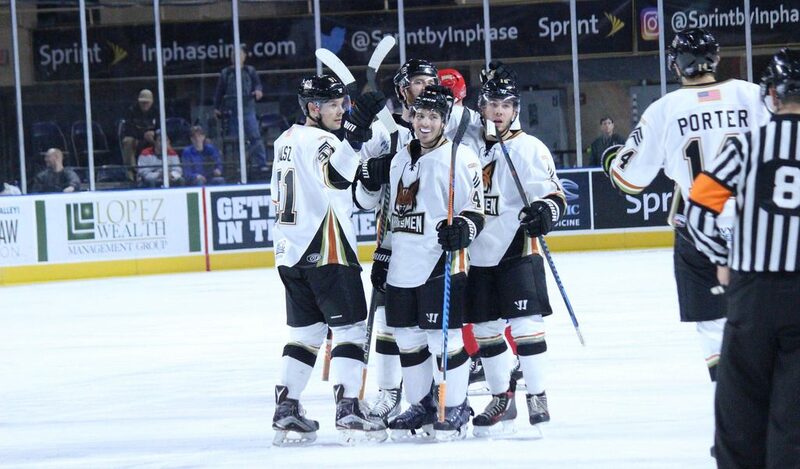 Don’t miss your chance to be a part of every night of the action and excitement that is Marksmen Hockey! Full Season Tickets are still available, and seats are filling up fast – get yours today before the best seats are gone. Click the button below and reserve your spot.